Welcome to our events page! 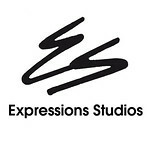 You can browse the galleries in the Expressions Studios Folder below to find your event. If you see pictures you are interested in give us a call at (937)836-3288. We are located at 320 W. National Rd. Englewood, Ohio. Our business hours are Tuesday through Friday from 10am to 6pm and by appointment on Saturday, Sunday and Monday. We also have a website at www.expressionsstudios.biz and a facebook page. Thank you for stopping by!